Summer is fast approaching, and you are probably rejoicing about stripping down naked and running home after your last exam. Unfortunately for you there are probably heavy penalties for leaving all your stuff in your dorm room for someone else to clean up and although you have made pretty sweet plans to live as a nudist all summer you might want your clothes again when winter comes and nudism is no longer practical. What do you do with your giant inflatable Corona bottle, bean bag chair, makeshift beer pong table and all those “art” posters on the walls? It depends on your situation, I suppose. So, where are you going this summer? If you’re like me, you left high school and fled to a college as far across the country from your parents as you possibly could, and thus live about 2500 miles out of driving range from home. If you’re not, skip down on the page for some advice. If this is the case, the best option is to find some sort of summer storage facility. Of course you can ship everything home but this is extremely expensive unless you fancy committing mail fraud and claiming all those boxes are full of books. Of course no postman in their right mind will believe you because, after all, this is college so why would you have books? Right, so summer storage seems like the best option. There are some major chains like CollegeBoxes that sell boxes on many college campuses and then will pick them up and store them all summer. This is probably a good option if all the things you need to store fit neatly into relatively small boxes. If you are just storing your bedding, towels, winter clothes, etc. you will probably find a door-to-door service like this to be helpful. If you are in fact storing your bean bag chair, beer pong table, and maybe a mini fridge or two, the costs for one of these pick up and drop off companies might be extremely high. They don’t generally take kindly to odd-shaped items like these. They just don’t seem to be able to think outside the box. HA! Get it? Box? Anyway… in a case like this, I recommend finding a local storage facility. Look around for one that offers student specials and find some friends that want to share a large storage space. If you are planning on living with a bunch of people next year, you will probably find it convenient to throw all of your stuff in a storage facility and split the cost (and the heavy lifting). Going to school close to home? Your situation is decidedly more simple if you have parents willing to drive the old minivan up and take your gear home for you, but I would still consider the storage option for things you definitely won’t need over the summer. It might make it easier on your parents and you won’t have so much useless stuff piled up at home waiting to be hauled back to school. 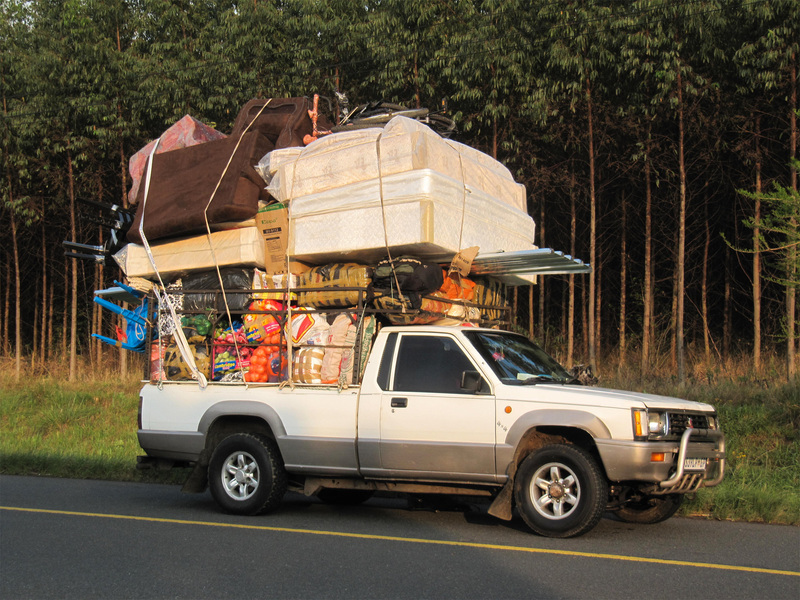 Whatever you plan to take home, however, heed the advice given in our article on moving in and box all of your stuff up (HackCollege has a great guide to packing your dorm room into a car). It makes packing the car, van, or Amish carriage faster, easier and less stressful than if you carted each sock out individually over the course of 37 hours. College isn’t a race, but moving out and making it home to soak up the summer sun in the nudist camp is. Are you an experienced mover-outer? Leave a comment with some advice for your fellow college student!